An event can be a big opportunity for a business, charity or community, but – as with anything that’s worth doing – it doesn’t come easy. There’s a lot of work involved in planning, preparing for, and running an event, and there’s follow-up work to do afterwards, too. 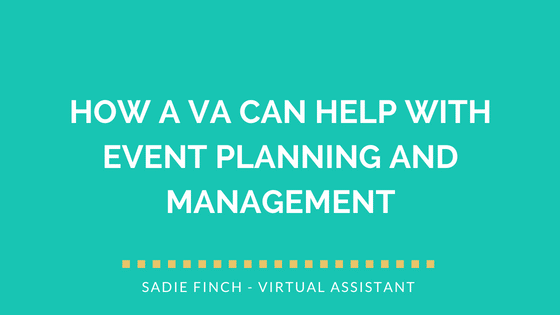 If you’ve found yourself in the position of reluctant, nervous or overwhelmed Event Manager, grab a notebook and a pen – I’m about to give you some practical help with event planning. If you’re in the early stages of planning an event and you’re unsure where to begin, you can use this quick 10-step guide as a starting point. Some of the steps I’ll list here are fairly self-explanatory. For the ones that aren’t, I’ll go into a little more detail below. You don’t necessarily have to follow the steps in this order, but make sure all the points are covered within your plan. As well as an overview and the finer details for each of the points above, an effective event plan should also include a timeline that sets out when each arrangement should be in place. Does everyone involved have a clear understanding of the goals and expectations? What’s the budget and who’s controlling it? How will you keep in touch with guests, and how can they contact you? How will you keep in touch with contractors, sponsors and partners, and how can they contact you? How will you evaluate the success of the event? There are plenty of free online tools you can use to help make the planning process easier. Project management tools like Trello or Asana, for example, allow you to create a list of tasks, designate responsibilities and give deadlines. You can add attachments too, which is handy for keeping everything in one place. If you’re looking for a flexible option when it comes to support with some or all of these tasks, I’d love to chat to you about how I can help. As a Virtual Assistant who works on a flexible basis, I recently supported the organiser of the Ely Hero Awards, a celebration of the special people within my local community. “Sadie is very professional, meticulous on detail and very calm. It was a pleasure to work with her, she provided first class administrative support and assisted with the organising of the ceremony itself. I would not hesitate to recommend Sadie, she would be an asset to your business – I just hope she is available to assist us next year!” – Naomi Sherwood, Manager at Metro Rod Cambridge, Founder and Organiser of Ely Hero Awards. Working with Naomi to prepare for and organise this event involved a variety of tasks. I collated over 200 nominations and forwarded them on to the relevant judges. I arranged the seating plan, helped to set up on the night, and welcomed guests as they arrived. I also ran the event’s Twitter for the evening, live tweeting from the @elyheroes account throughout the ceremony. This is just an example of the type of support I can provide for your event. I’m a bit of an admin geek, which means I love all that planning and paperwork, but I also like to be hands-on when it comes to the event itself. I enjoy seeing an event through from start to finish and acting as a consistent point of contact for guests in the run-up to the day. Find out more about how I can help with event planning and management, or access my diary now to book yourself in for a free consultation.